CherrySue, Doin' the Do: China Glaze Prismatic Collection - Magpie Nirvana! China Glaze Prismatic Collection - Magpie Nirvana! 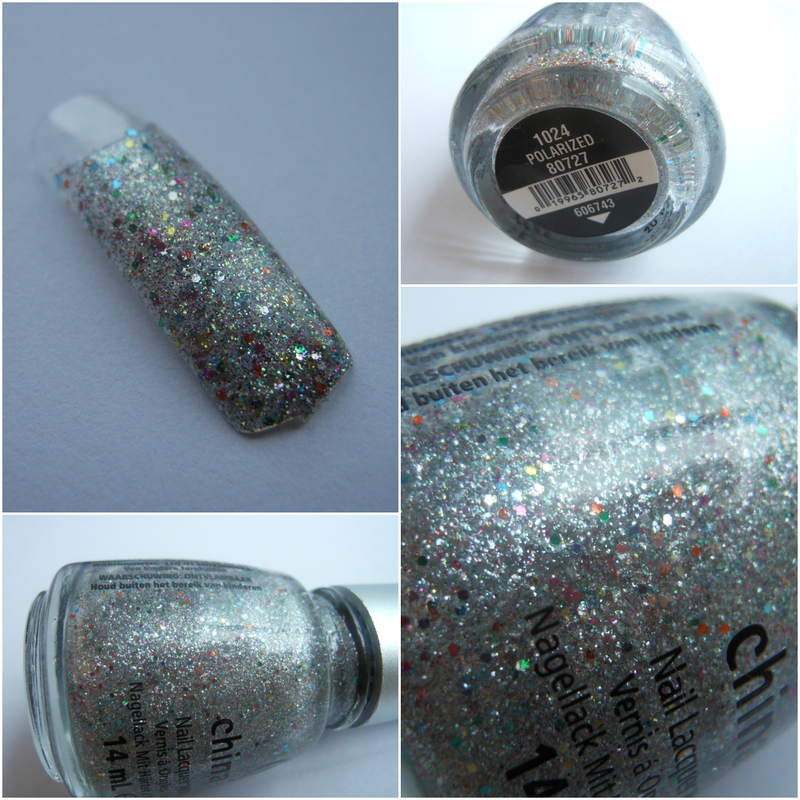 You'll remember last week I showed you the gorgeous Ray-Diant from the China Glaze Prismatic Collection, well, as promised, today I have a look at the entire collection for all of your magpie wants. Each polish is a densely packed holographic glitter with ultra fine to small glitter particles that can be used in a single coat, built up for bling or used as a base for an even bigger glitzier glitter, I did with Rainbow Connections and Ray-Diant. There are six polishes in this collection and they differ slightly with regard to the jelly suspension and colour of micro glitter so each have a distinctive coloured finish. Let's have a look at the swatches first, then each polish close up. Nice, eh? Now let's have a closer inspection of the individual polishes..
Polarized is the most silver of the lot with multi coloured micro glitters. Prism has all of the elements of Polarized but with more blue/purple microglitters so shines purple in the light. Optical Illusion is a blue/green offering with some purple duochrome glitters. Full Spectrum, while very like Prism, finishes to a pinker hue than the others. Very pretty. Liquid Crystal is probably the most duo chrome of the collection. Although it's packed full of multi coloured glitters the final effect is a purple/blue hybrid, depending on how the light hits it. Ray-Diant has a greenish hue but changes in front of your eyes, depending on the angle and the light. It was my first from the collection and is probably still my favourite. As with all glitters, I'd advise you use a base coat as when removing them, they have a tendency to scratch the nail bed. A top coat is also a must to even out the many, many glitter particles and prevent snags. Please don't allow removal to put you off these stunning polishes, I've yet to meet a glitter that's any match for Cutex Moisture Guard and a sheet of Plenty. 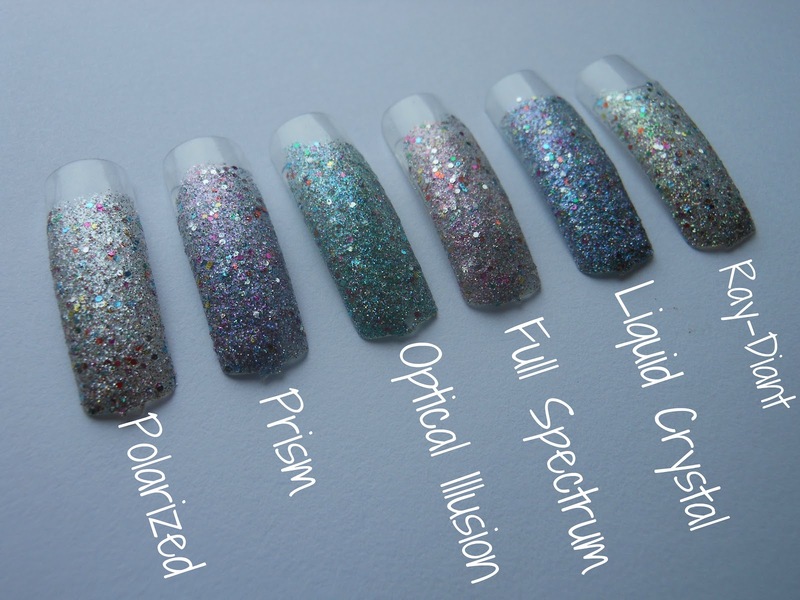 The Prismatic collection is available now from Beauty Emporium for €7.50 per polish. What say ye? OH MY GOD they're gorgeous!!!!! Hello, I'm 13 years old and really need some advice. I have been trying to do just plain nails in a simple summery colour, you know, just painting them plainly. I try so hard to get a nice coat but it always ends up looking horrible when I do it, there are always brush lines (not just little ones, big ugly ones) and smudges everywhere. CherrySue, please give me some tips! Genuinely S, The Cutex makes short bidness of them! You'll never use cotton buds again! is so broad and complicated. An Xbox Live membership allows you to take benefit from all the contents on the Xbox website in addition to your gaming console. reading this web site's post to be updated regularly. It consists of pleasant stuff.